Upon its accession to the Council of Europe in 1995, Ukraine made a number of commitments, including the enactment of modern criminal procedure legislation. The Council of Europe has already contributed to drafting this legislation, in particular the new Criminal Procedure Code (CPC), by providing expert advice. Today, the effective implementation of the Code is one of the conditions for the signature of the EU-Ukraine Association Agreement. By launching the “Support to criminal justice system reform in Ukraine” project, co-funded by the Council of Europe and Denmark, the European partners show their intent to continue supporting Ukraine in developing criminal procedure legislation that respects international standards. The project experts that took part in the project’s kick-off meeting in Kyiv on March 12 praised the new Ukrainian legislation represented by the new CPC. 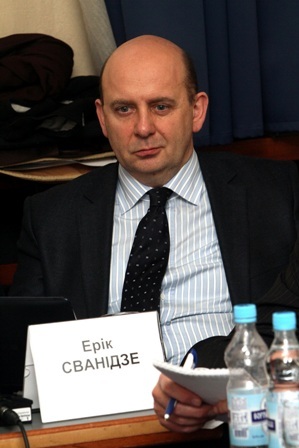 Eric Svanidze, former member of the European Committee for the Prevention of Torture and Inhuman or Degrading Treatment or Punishment in respect of Georgia, assesses the text of this law as revolutionary compared to previous editions of the document. Mikael Lyngbo, legal expert of the Danish Helsinki Committee for Human Rights, agrees with his colleague, admitting that, “Ukrainian criminal procedure law is as good as any in Europe.” He said that the project will pay special attention to new elements which the law introduces to the Ukrainian system, including: work and role of investigating judges, a new “coordination and guidance” role for prosecutors in pre-trial investigations, new rules on non-public investigatory actions, new procedures on police apprehension, and the rights of suspects. Jeremy McBride, chairman of the Scientific Committee of the EU Agency for Fundamental Rights, expects substantial changes with the new legislation, which are much needed for EU-Ukraine Association Agreement dialogue. “The project offers the tools necessary to achieve this goal,” McBride assures. However, he warned of possible challenges in implementing the new legislation, and pointed to the imperative need for highly qualified people to oversee its realization. 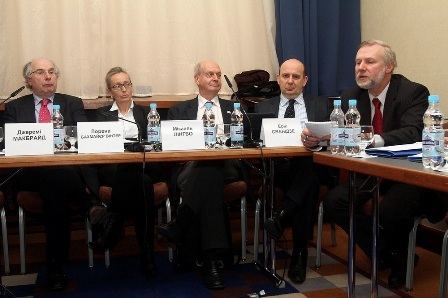 The two and half year “Support to criminal justice system reform in Ukraine” project, , is run by the Council of Europe with the financial support of the Danish government. The project aims to enhance the effectiveness of the Ukrainian criminal justice system and to bring it closer to European standards. It also pursues the following goals: to assist the Ukrainian government and stakeholders in implementing the new Criminal Procedure Code, to work out important new legislation (e.g. concerning the prosecutor’s office), and to conduct a series of training sessions for Ukrainian decision-makers and stakeholders.